Vietnam ranks high among ASEAN countries in the number of merger and acquisition (M&A) deals and the value of deals that involved the world's inflow capital, according to the consulting firm RECOF Corporation of Japan. In the first half of this year Vietnam took the second position with 77 deals, second only to Singapore with 93. Through these deals, Vietnamese enterprises received 1.122 USD billion from investors elsewhere, ranking third, after Singapore and Indonesia. Between 2005 and 2009, Vietnam's figures were 307 deals worth 2.888 billion USD, which placed the country at sixth among six ASEAN countries, after Singapore, Malaysia, Indonesia, Thailand and the Philippines. The company's Managing Director Masataka Yoshida cited the country's high quality workforce, the Government's policy to attract investments with new investment, enterprise and land laws, and improvement of infrastructure and logistics network. The development of the private sector and the geographic advantage as a hub of ASEAN in connection with China were also cited. The formation of the ASEAN Economic Community and the increase in consumers in the middle-income category are also factors affecting Vietnam's growth. The AEC offers opportunities in reducing and removing custom duties, as exports will increase in competitive industries, leading to more investments to expand production. The boom in consumers with growing demand will also attract more investments. Deputy Minister of Planning and Investment Dang Huy Dong told participants at the M&A Forum held on August 6 by Dau Tu (Investment) newspaper in coordination with AVM Vietnam, an investment promotion company, that Vietnam's National Assembly had recently given its approval to the Public Investment Law, amended Investment Law, amended Enterprise Law and amended laws on housing and real estate. The Government had also issued a decree enabling larger room for foreign investment in various areas. The implementation of the laws and policies are creating a better legal environment for investment and trade in general and M&A market in particular, said the Deputy Minister. The country's deeper and wider integration into the world's economy is offering new opportunities for M&A activities, he said. Eight years after joining the World Trade Organisation, Vietnam is actively participating in the formation of the AEC, and deploying the implementation of commitments in free trade agreements with its partners, which is a driving factor behind M&A activities. Another factor is the Government's programme to equitise State-owned enterprises. The Prime Minister approved the plan to turn 432 SoEs in to joint stock status in the 2014-2015 period. To date, 176 of them have been equitised. Initial public offerings by major SoEs have been creating new, attractive supplies to the M&A markets. The restructuring of commercial banks and the divestments from non-core business by SoEs have made the M&A markets more attractive. Another driving factor is the strong, emerging private sector with many businesses choosing M&A as an important strategy for restructuring to ensure sustainable growth, according to Dong. The State Securities Commission of Vietnam's Chairman Vu Bang said encouraging signs for foreign investment were the recovery of the macroeconomy, reform policies opening a wider door to foreign investors, the conclusion of FTAs and TPPs, the bouncing back of the stock market, and new regulations including wider room for foreign investors in companies. "The derivatives market expected to open next year will help prevent risks and boost the growth of the stock market, promoting M&A deals," he added. Experts at the forum said foreign investors, especially those from Japan, the Republic of Korea and the US, have high interest in M&A activities in Vietnam and have plans for deals. 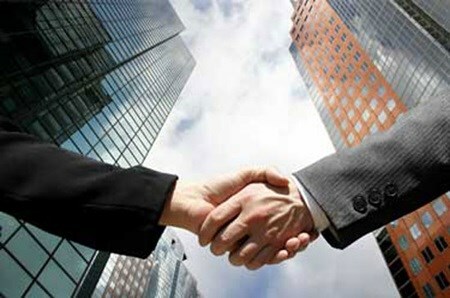 Statistics from the MAF research group show that the value of M&A transactions last year in Vietnam rose 20 percent compared to 2013, reaching 4.2 billion USD (more than 300 deals), still lower than the record of 5 billion USD in 2012.